• Soak almonds 10 to 15 minutes in a 1 cup water. 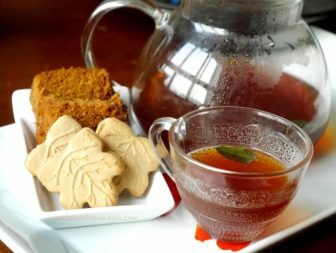 • Drain, blend and make a coarse paste. • Add coconut, ginger, shallots and green chilli. • Add required water and salt, grind and make smooth paste. 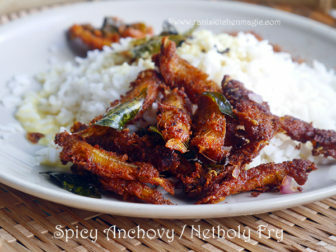 • In a frying pan, pop mustard and fry dry chilly, chopped shallots and curry leaves until golden. 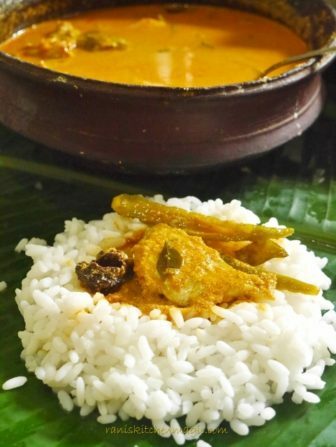 • Pour on to chutney dish and mix. 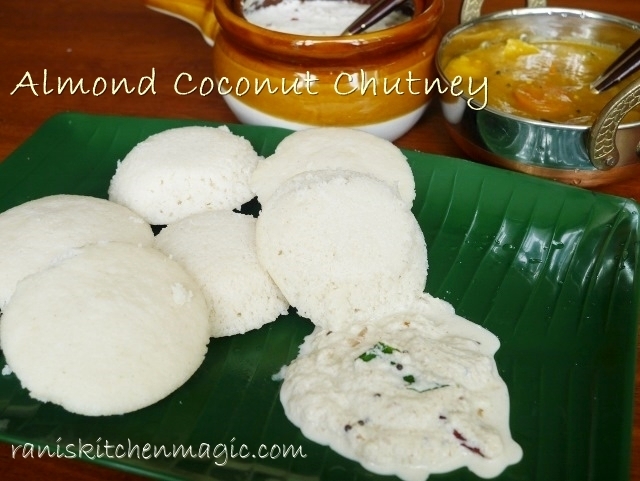 Use fresh and white grated coconut, it gives your chutney white color and creamy taste. 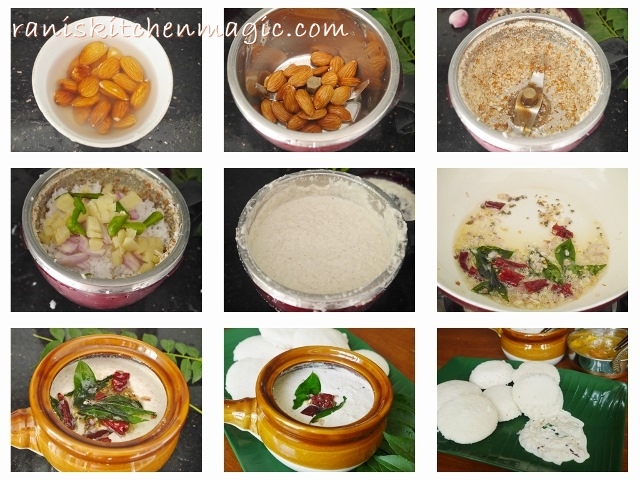 Add less water and salt at the beginning of the grinding, it helps to grind chutney smooth and easy way and add it gradually as per your taste. 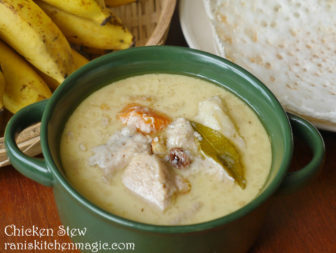 Serve chutney/Chammanthi immediately otherwise refrigerate and use. 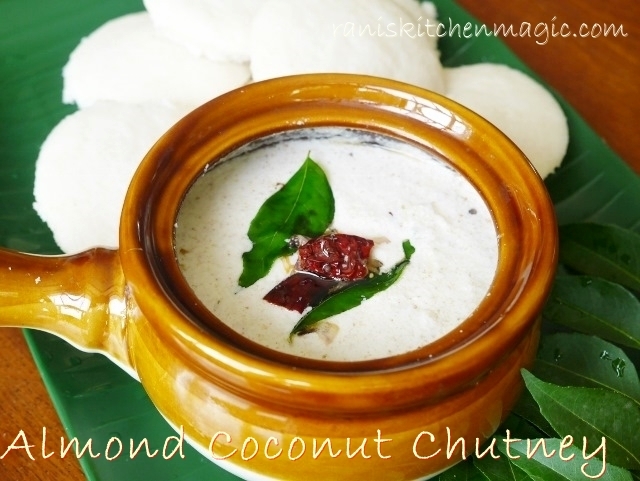 Share the post "Almond Coconut Chutney (Badam Coconut Chammanthi Curry)"
wow wow.. this is a great variation to the regular chutney. So yummm. Can’t wait to try this. Yummy chutney!! What a combo!! 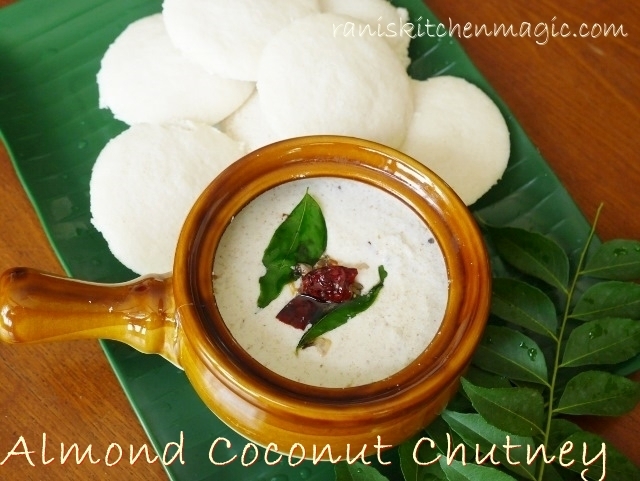 I love coconut chutney, adding coconut surely made this chutney more healthier and tasty.